As a 4th generation Arizonan, I love all things Arizona, and have been making Phoenix, and the Ahwatukee Foothills, my home since 1998. Before entering real estate I enjoyed a long career in various purchasing, supply management, and production control positions. Many of the skills I developed over the years I pull out of my tool box and utilize in your behalf. For things like problem solving, project/transaction management, negotiation. I hold both a Bachelor of Science in Business Administration and a Masters degree in Business Administration….which are amazingly rare among the ranks of agents, and yet amazingly applicable to providing top notch real estate service. Along the way, I’ve obtained CDPE, CLHMS, ABR, ePro certifications to enhance my real estate skills. 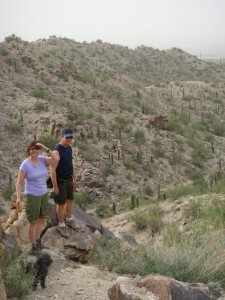 I read, watch movies, practice yoga, and I love to hike the mountains of Phoenix and the trails of South Mountain Park. With my husband, son, or (hiker) daughter, I have explored most of the trails in our gorgeously huge South Mountain back yard. David and I have raised 3 children. Two daughters have graduated from ASU and U of A, and our son is a Marine veteran, having served in Afghanistan, and is now going to college. I also have a wonderful son-in-law and identical twin grandsons! An ABR® is a buyer’s representative who has completed advanced training and who has proven experience in serving the special needs of buyer-clients. In addition to knowing the dynamics of their local market, an ABR®-designated buyer’s rep can help you make informed decisions throughout the entire home buying process. Members of The Institute who hold the CLHMS designation have documented performance in the TOP 10% of their markets, and have successfully demonstrated their expertise in the luxury home and estates. Certified Luxury Home Marketing Specialists (CLHMS) whose documented performance includes sales of single family property closings at $1,000,000.